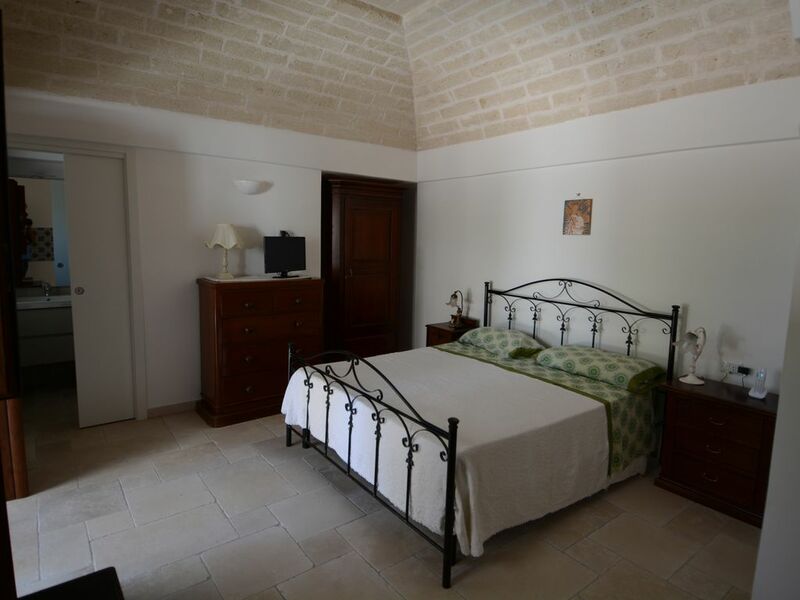 The Lamia Superior is located in Valle d'Itria, in the town of Cisternino. Beautifully restored in 'August of 2015, the Lamia is ideal for two people as it is formed by a double bedroom, bathroom, living room with kitchenette and spacious outdoor terrace, furnished with dining table and sofas, to allow our guests to fully enjoy the starry sky of the Itria Valley. Also available to our guests is the swimming pool set in the rock, the free parking and free wi fi. The estate boasts extensive gardens and a small forest, where you can hear in full contact with nature. Not far from the villa is a new bike path, created by the revival of the ancient Apulian aqueduct channel, which for more than 40 km through our territory by giving the opportunity for nature lovers to live it fully.